Supremely controversial, Winnie Mandela has been labeled a woman condemned for her radical role in the liberation of her South African people under apartheid. While her husband, Nelson Mandela, remained securely jailed for 27 years, Winnie brushed the patriarchy aside to fight on the front line and take uncompromising steps to inspire an uprising. While Nelson was remembered as a hero, Winnie was demonized in the global media. Filmmaker Pascale Lamche paints a complex portrait of Winnie Mandela: the woman, the paradox, both exalted and villainized in the eyes of history. Using rich, unseen archival footage and interviews with intimate comrades, Lamche unravels the tale of cause and effect by which Winnie was taken down. 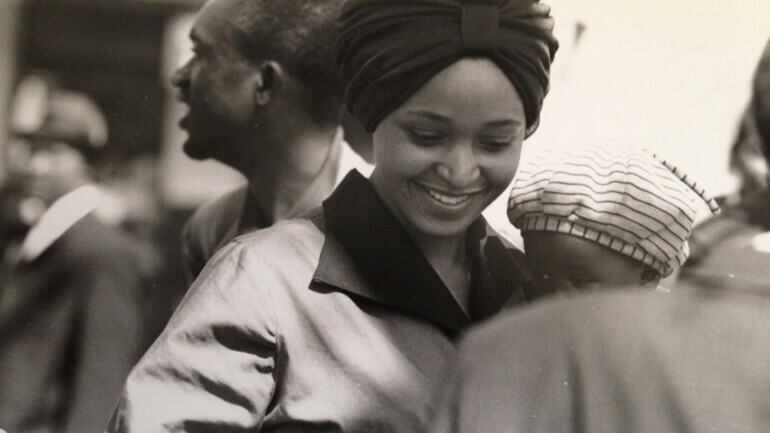 Loved by South African people for her grace and unflinching leadership, Winnie Mandela is situated at the center of her own narrative by Lamche in this groundbreaking film which asks us to question how—and why—history has intimidated and silenced women because of their political power.